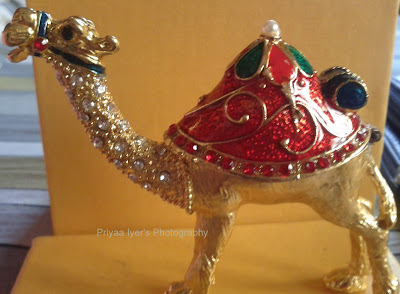 Priyaa's Journal: Project 365 : GrandMa gifted me a Camel! My grand mum gifted him this beautiful golden camel with stones and enamel from Dubai. The hunch can be opened and can be used as a small storage!